Ask Hackaday: Why Aren’t We Hacking Cellphones? When a project has outgrown using a small microcontroller, almost everyone reaches for a single-board computer — with the Raspberry Pi being the poster child. But doing so leaves you stuck with essentially a headless Linux server: a brain in a jar when what you want is a Swiss Army knife. It would be a lot more fun if it had a screen attached, and of course the market is filled with options on that front. Then there’s the issue of designing a human interface: touch screens are all the rage these days, so why not buy a screen with a touch interface too? Audio in and out would be great, as would other random peripherals like accelerometers, WiFi, and maybe even a cellular radio when out of WiFi range. Maybe Bluetooth? Oh heck, let’s throw in a video camera and high-powered LED just for fun. Sounds like a Raspberry Pi killer! And this development platform should be cheap, or better yet, free. Free like any one of the old cell phones that sit piled up in my “hack me” box in the closet, instead of getting put to work in projects. While I cobble together projects out of Pi Zeros and lame TFT LCD screens, the advanced functionality of these phones sits gathering dust. And I’m not alone. Why is this? Why don’t we see a lot more projects based around the use of old cellphones? They’re abundant, cheap, feature-rich, and powerful. For me, there’s two giant hurdles to overcome: the hardware and the software. I’m going to run down what I see as the problems with using cell phones as hacker tools, but I’d love to be proven wrong. Hence the “Ask Hackaday”: why don’t we see more projects that re-use smartphones? The modern smartphone has a variety of ways to interact with its user – the screen, the speakers, and of course, the vibration motor. But what if your phone could interact physically? It might be unnerving, but it could also be useful – and MobiLimb explores exactly this possibility. Yes, that’s right – it’s a finger for your mobile phone. MobiLimb has five degrees of freedom, and is built using servomotors which allow both accurate movement as well as positional feedback into the device. Additionally, a touch-sensitive potentiometer is fitted, allowing the robofinger to respond to touch inputs. The brains behind the show are provided by an Arduino Leonardo Pro Micro, and as is usual on such projects, the mechanical assembly is 3D printed – an excellent choice for producing small, complex parts. Just imagine the difficulty of trying to produce robotic fingers with classic machine tools! The project video shows many different possibilities for using the MobiLimb – from use as a basic notification device, to allowing the smartphone to crawl along a table. We frankly can’t wait until there’s a fully-functional scorpion chassis to drop an iPhone into – the sky really is the limit here. Interested in other unique ways to interact with your smartphone? Check out these nifty 3D printed physical buttons. Poke around enough on AliExpress, Alibaba, and especially Taobao—the Chinese facing site that’s increasingly being used by Westerners to find hard to source parts—and you’ll come across some interesting things. The Long-CZ J8 is one of those, it’s 2.67 inch long and weighs just 0.63 ounces, and it’s built in the form factor of a Bluetooth headset. A couple of months ago Cory Doctorow highlighted this tiny phone, he’d picked up on it because of the marketing. The lozenge-shaped phone was being explicitly marketed that it could “beat the boss”. The boss in question here being the B.O.S.S chair—a scanning technology that has been widely deployed across prisons in the U.K. in an attempt to put a halt to smuggling of mobile phones to inmates. The Long-CZ J8 is just 2.67 inch (6.8cm) long. I wasn’t particularly interested in whether it could make it through a body scanner, or the built-in voice changer which was another clue as to the target market for the phone. However just the size of the thing was intriguing enough that I thought I’d pick one up and take a look inside. So I ordered one from Amazon. Warranty shmarranty — toss the phone in the oven! There’s apparently a problem with the assembly of the Nexus 5X smartphones, and it looks like it is due to faulty BGA chip soldering. LG USA has had enough problems with the phone that they may not even have enough parts or new units to fix it, so they’re offering a refund. But we all know how it is to get attached to a device, right? Over on Hackaday.io, [bobricius] took this technology and designed something great. 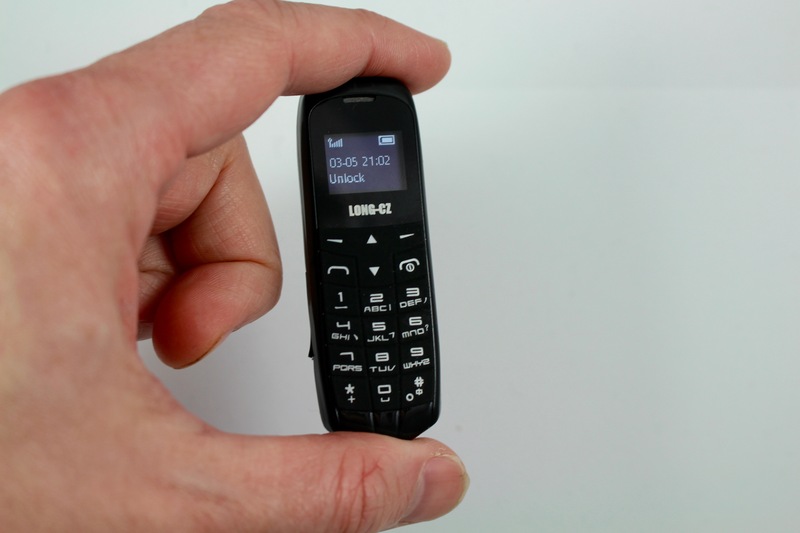 It’s a GSM cell phone with a case made out of FR4. It’s beautiful, and if you’re ever in need of a beautifully crafted burner phone, this is the one to build. The components, libraries, and toolchains to build a cellphone from scratch have been around for a very long time. Several years ago, the MIT Media Lab prototyped a very simple cellphone on a single piece of FR4. It made calls, but not much else. It was ugly, but it worked. [Bobricius] took the idea and ran with it. Once again, [Rulof]’s putting his considerable hacking abilities to good use, his good use that is. By modding a few simple parts he’s put together something that he can carry around on his keychain that’ll allow him to steal power from his friend’s phones to charge his own phone. He starts by cutting away the motor from an iPhone fan to isolate the Micro USB connector. He then removes the charging circuit board from a cheap Chinese USB power bank, and solders wires from the Micro USB connector to one side of the board. Lastly, he cuts away the Lightning connector from a Lightning-to-USB cable and solders that connector to the other side of the circuit board. For longevity and cosmetics, he puts it all in a small wood block and connects a key ring. The result is a small, neat looking box with a Micro USB connector on one side and a Lightning connector on the other. You can see him make it, and then use it to steal power from his friends in the video after the break.